In his debut film < This Charming Girl >, director LEE portrayed with an unerring eye the ordinary feelings of loneliness, the memories of a broken heart, and the internal transformation wrought by the energy of a new love as experienced by one ordinary woman. Through "sensitivity more delicate than that of a female director" and "a solid presentation that belies his status as a novice director," LEE has caught the attention of many critics in South Korea. He graduated from U.S.C in America and worked on “A Contempt” Best Picture Award in 1st Seoul Short Film Festival and “Promise” M/V as like Producer. 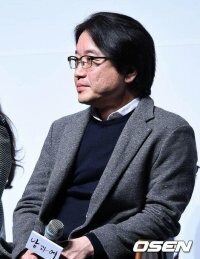 He directed “Love of Contemporary” The final selection work in 2nd Seoul Short Film Festival and wrote < Love Talk > a Winning piece of work in 2nd Best Film public subscription. He worked on “A watercolor in the raining day” (1989), “Like Rain, Like Music” (1992) and “A crashing Love” (1996) as like Assistant Director.< This Charming Girl >(2004) and < Love Talk > (2005) are Written and Directed by him. He also Directed “The house I lived” (2005)and < Ad Lib Night >(2006).